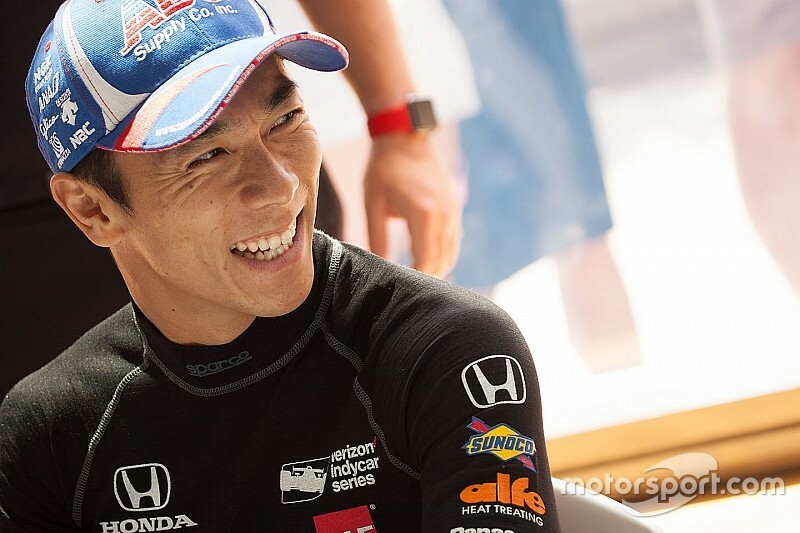 Takuma Sato will replace Carlos Munoz in the #26 Andretti Autosport-Honda next season, as the pair effectively swap places between Andretti and AJ Foyt Racing. As first revealed by Motorsport.com in October, Sato’s eighth season in the Verizon IndyCar Series will be spent alongside Andretti Autosport incumbents Ryan Hunter-Reay, Marco Andretti and Alexander Rossi. Said team owner Michael Andretti: “I think joining the team will be a new and positive opportunity for Takuma. “He’s not yet had the chance to be part of a larger team where the drivers collaborate; our four drivers and team of engineers working together has bred success for us in the past and has helped many drivers develop on track. Sato, a 90-race Formula 1 veteran, has now made 118 IndyCar starts, with victory at the 2013 Toyota Grand Prix of Long Beach proving the highlight. The five-time polesitter said: “I am extremely excited that we were able to work out a deal with Michael and Andretti Autosport. With Honda an integral part of Andretti Autosport, it seemed like a great fit.